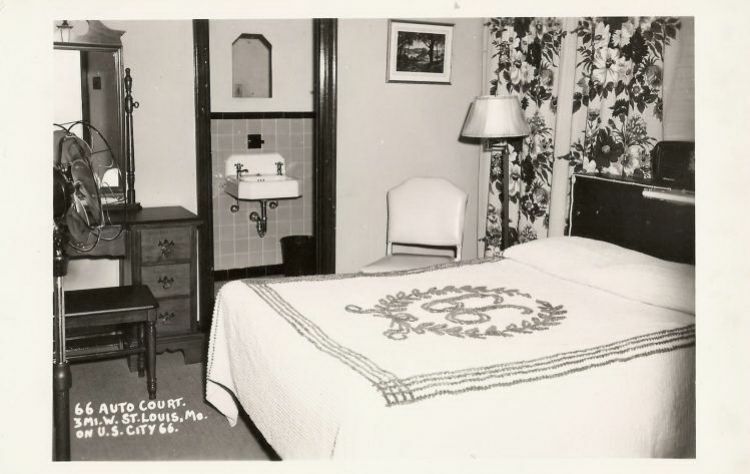 This view of a room at the 66 Auto Court shows what $2.50 per night bought travelers back in 1946. The complex had 30 rooms, each with "hot water heat, insulated rooms, innerspring mattresses, electric fans" and "city water". The Watson Auto Care Plaza occupies this site at 8730 Watson Road today.